More Hands, More Hearts Pay It Forward Day is April 30th! There is nothing better in life than being able to pay it forward. Every time I cheer someone up or make someone happy I feel fantastic inside. I have been so fortunate to work with some amazing brands that love to give back. 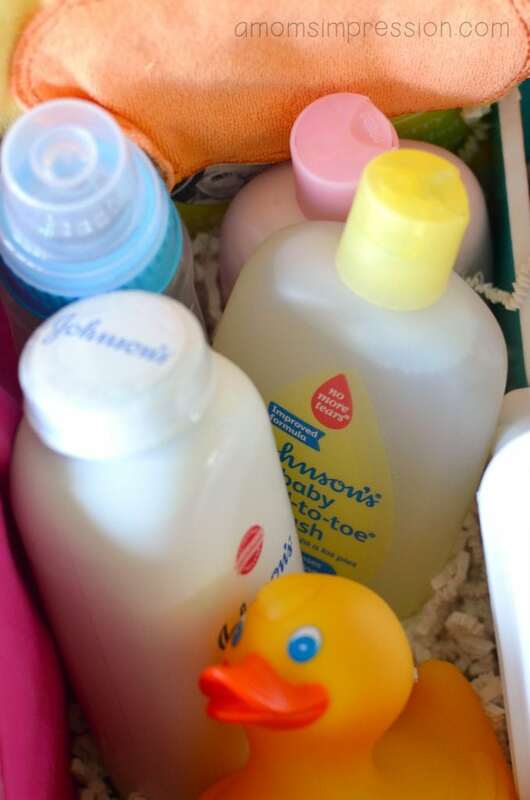 One of my absolute favorite companies to work with is Johnson & Johnson. I love the Johnson’s Baby products and when they gave me the opportunity to surprise a mom to be I jumped at the chance. I already had a deserving mom in mind. The teaching profession is a tough one to be in at the moment. 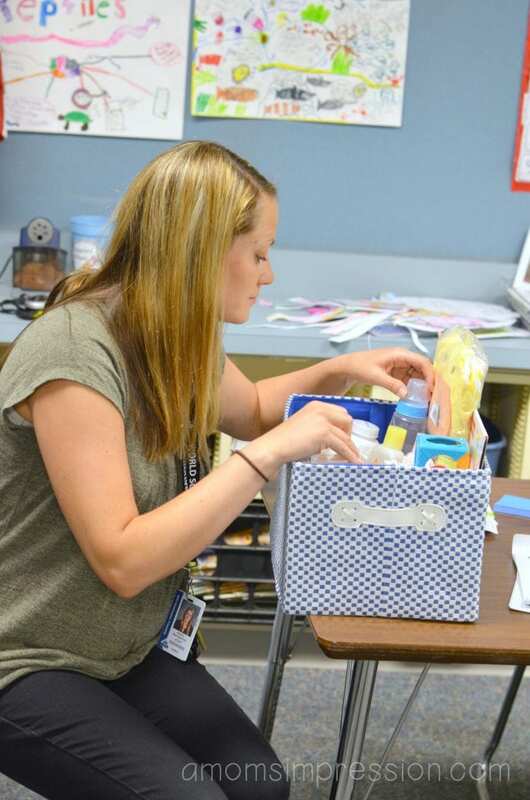 My public school is feeling the sting of standardized testing and a declining budget. The stress of trying to do what is right for our students while balancing the demands of our school district is something that my colleagues and I battle on a daily basis. 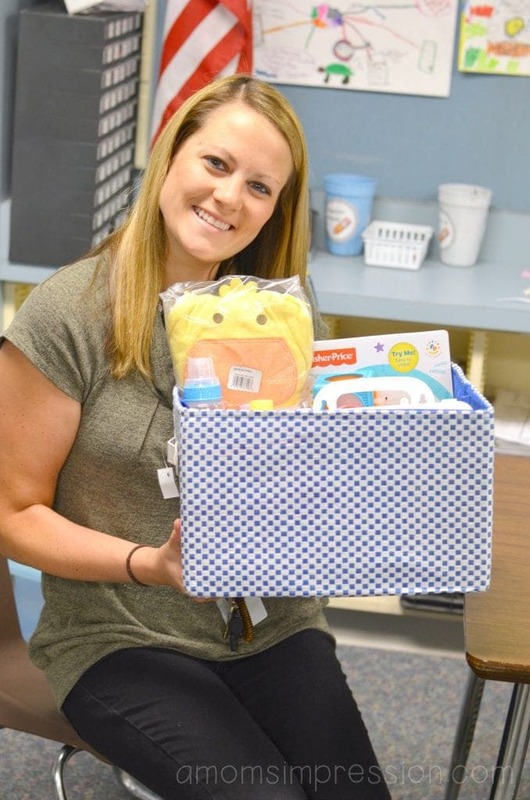 One of my teaching friends is expecting her third baby this fall and I couldn’t wait to pass on a little bit of cheer before school yesterday. It was such a fun surprise! She was very excited and I could tell very appreciative. That is what paying it forward is all about. 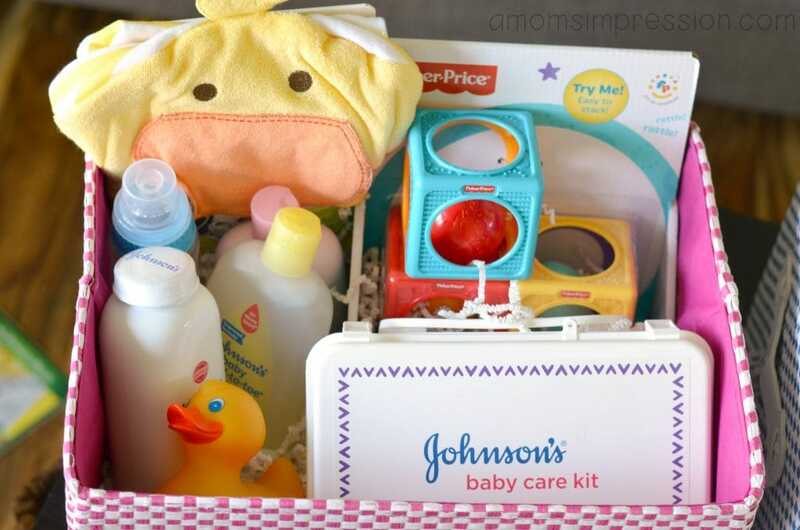 Included in the gift basket was some amazing products from Johnson’s Baby and Fisher Price. In addition to the basket, I also surprised her with a meal. I baked my Chicken Marsala Pasta for her and her family to enjoy. What busy teacher (expecting a baby) doesn’t love a home cooked meal. Again it is the little things that can make a big impact. 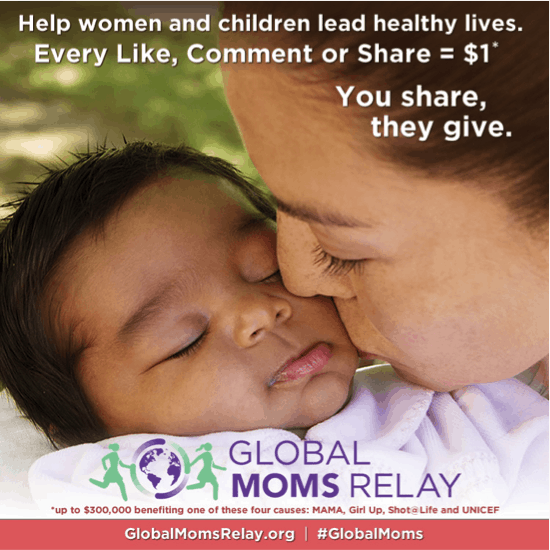 Global Moms Relay which is a social initiative befitting four charities. It’s a free and easy initiative to help improve the health and well-being of moms and children worldwide. The idea behind this campaign is that small things can lead to big things… you know “Pay it Forward!” The campaign this year is revolving around a central question “What kind of world do you want for your family by 2030?” Our goal is to spark a conversation about the power of motherhood and how moms, their families, and their communities can work together for a better, healthier world. From May 1 to June 19, 2015 (just before Mother’s Day through just before Father’s Day), every few days a celebrity, community leader, or everyday mom and dad, will share a personal story about the kind of world they want for their family by 2030, and then “pass the baton” to the next contributor. You can find all their inspiring stories on www.GlobalMomsRelay.org Every time you comment, like, or share a post from the Global Moms Relay with friends on your social networks, Johnson & Johnson will donate $1 per share, per social network, (up to $300,000) to one of four causes that help improve lives for moms and babies around the world: Girl Up, the Mobile Alliance for Maternal Action (MAMA), Shot@Life, and UNICEF. With the click of your mouse or snap of your smartphone you can help raise up to $300,000 to improve the health and wellbeing of moms and children around the world. Visit GlobalMomsRelay.org today to learn more and take action. This post was sponsored by Johnson’s Baby. All opinions are 100% mine! Wow! I love the way thought that in such a simple way, we can help build a better world.